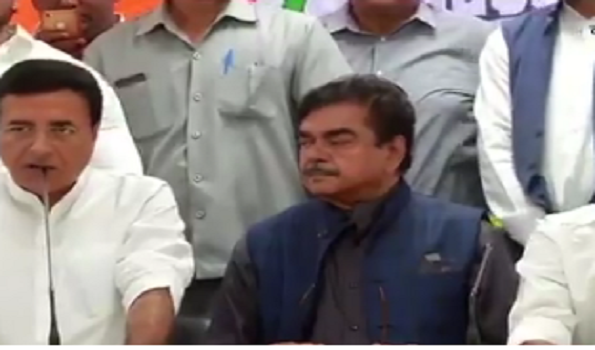 New Delhi: Noted film actor and BJP leader Shatrughan Sinha on Saturday joined the Congress party. He joined the party in the presence of AICC media in-charge Randeep Surjewala, AICC General Secretary K C Venugopal and AICC in-charge for Bihar Shakti Singh Gohil. Read more on : Congress Shatrughan Sinha K C Venugopal Bihar Shakti Singh Gohil.